Finding creative ideas for room decor can turn an ordinary house into a stunning home. 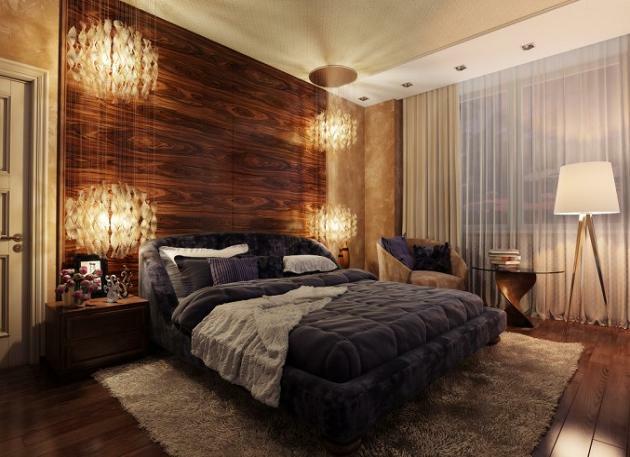 One way to achieve a unique look in your bedroom is to create an accent wall. 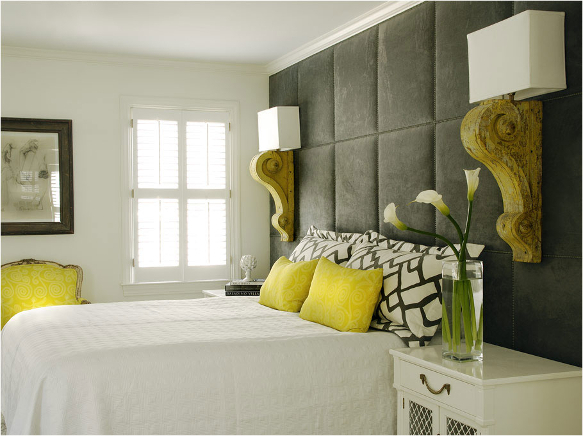 Most homeowners design an accent wall by painting it a different color, so it stands out. Painting a wall works well, but don’t limit yourself by thinking that’s your only option. Because of the different types of wood now available for homes, wood paneling looks new and fresh again. 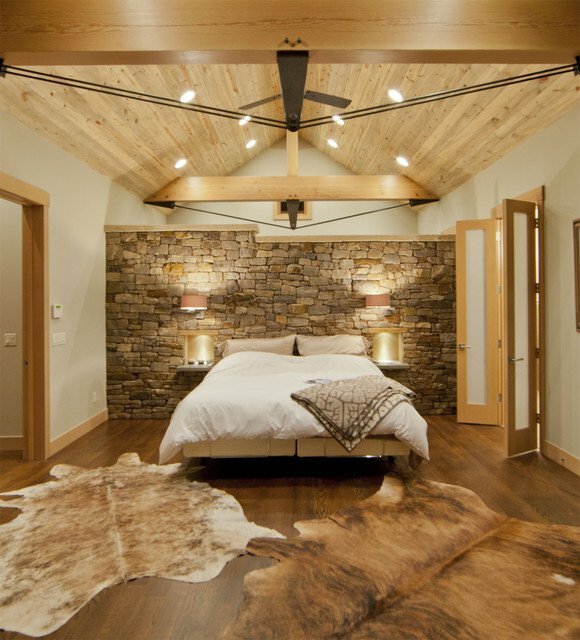 Cover one wall of your bedroom with barn wood, timber, or even reclaimed wood. If you want the wall to look longer, then install the wood horizontally. 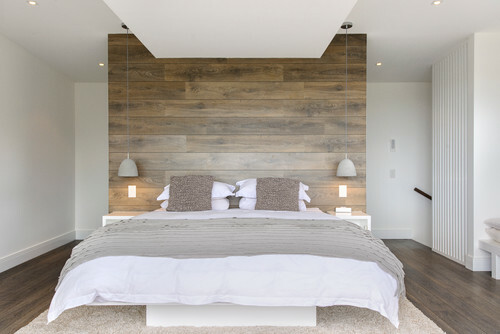 If your ceiling is lower than you would like, then run the wood vertically to give the room more height. 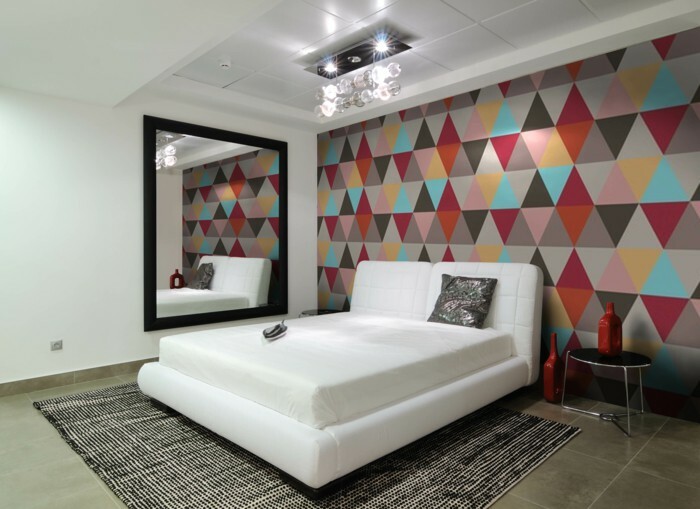 Tiles used in bathrooms and kitchens aren’t the type you’ll want to use on a bedroom wall. 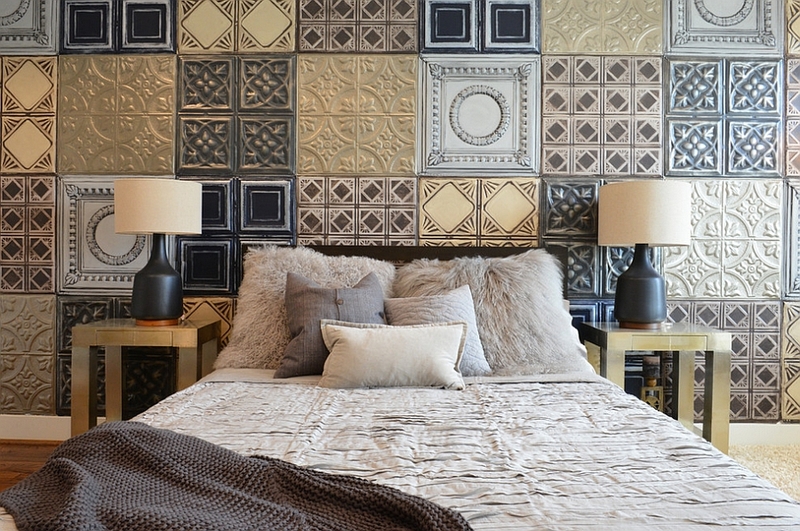 However, tin tiles will look gorgeous on an accent wall. You can mix and match these tiles to create the perfect look from the variety of designs available. Mainly used on ceilings up to now, homeowners are finally discovering how beautiful they look on walls. You can even paint the tiles whatever color you want! Popular around fireplaces, stone accents have become a design trend in other areas of the home now too. 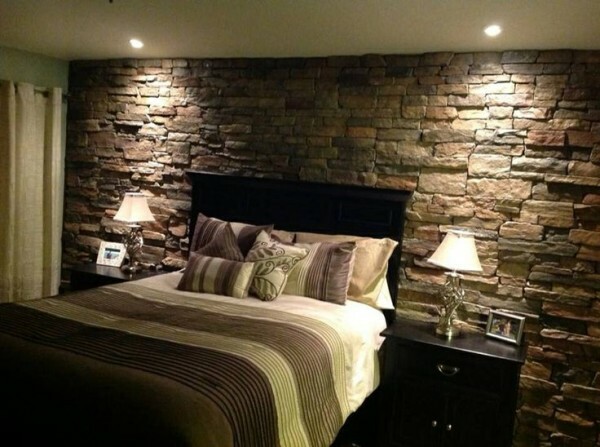 Try stacked stone or natural stone on one wall in your bedroom. This choice brings an earthy, outdoor feeling into your room. 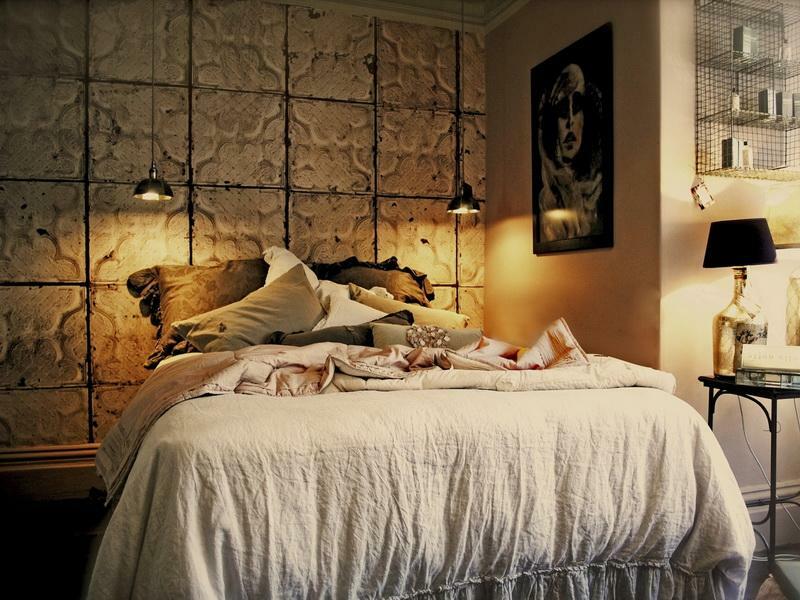 If doing the entire wall seems like too much, then place the stone behind your headboard only. Or you can even opt to just do stone columns behind each nightstand. 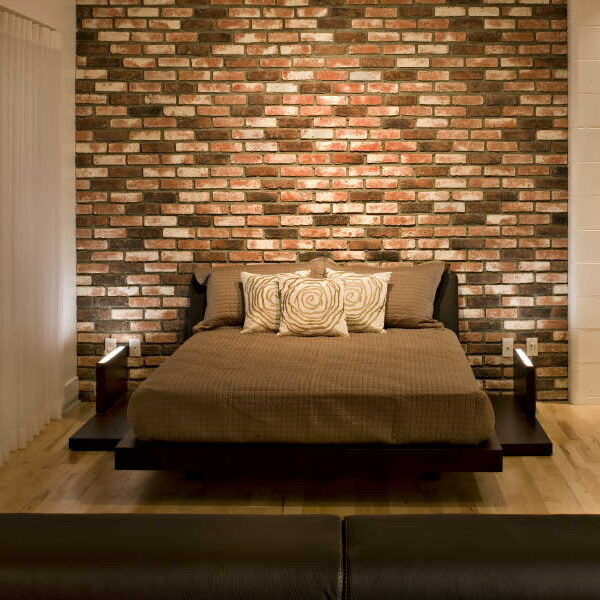 Whether real or faux, a brick wall will add texture to any bedroom. 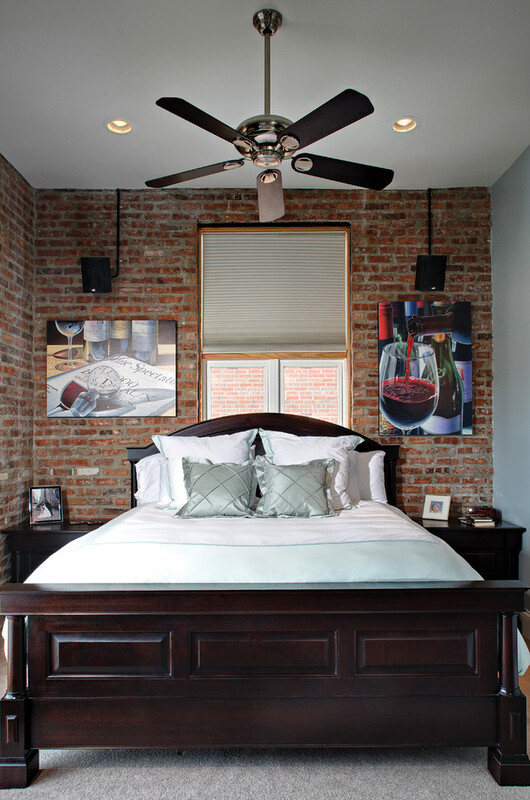 Leave the brick natural or paint it a lighter color to completely change the look. This design feature, commonly found in New York, has now become popular all around the country. 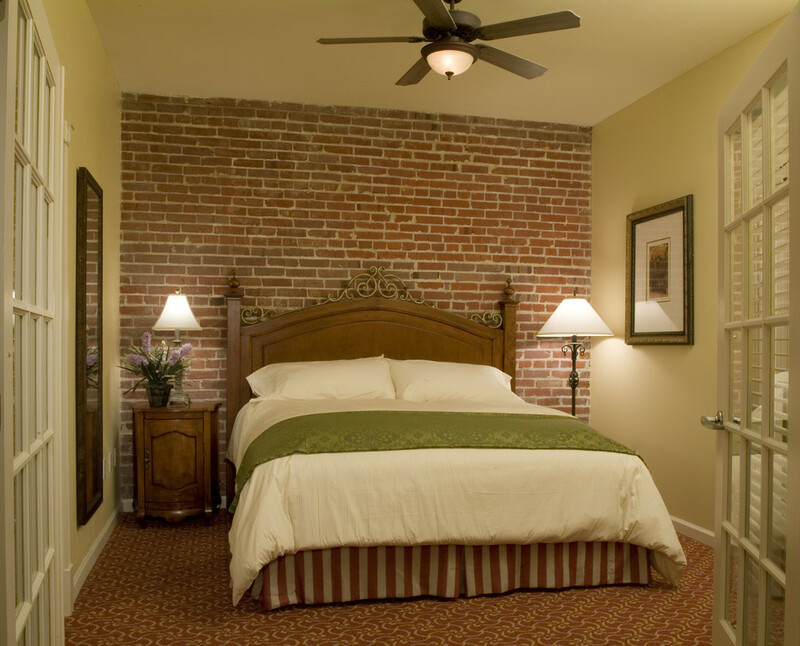 Brick creates a cozy mood in a room and is versatile enough to fit in with many different types of home decor. 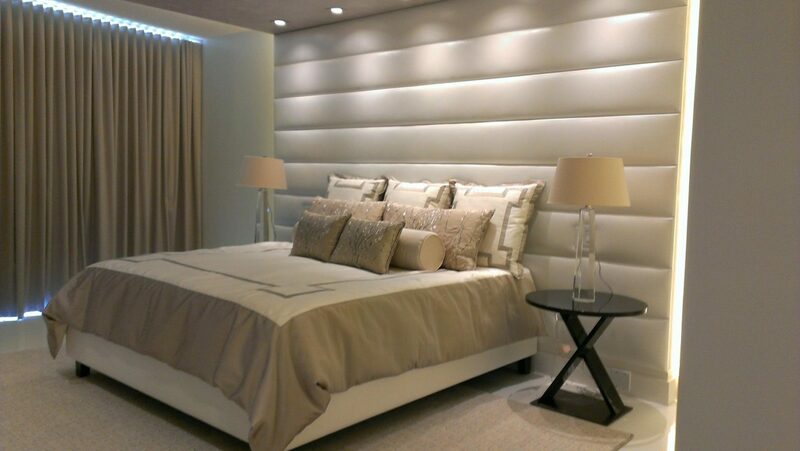 For a hint of luxury, try padding on one of your walls. 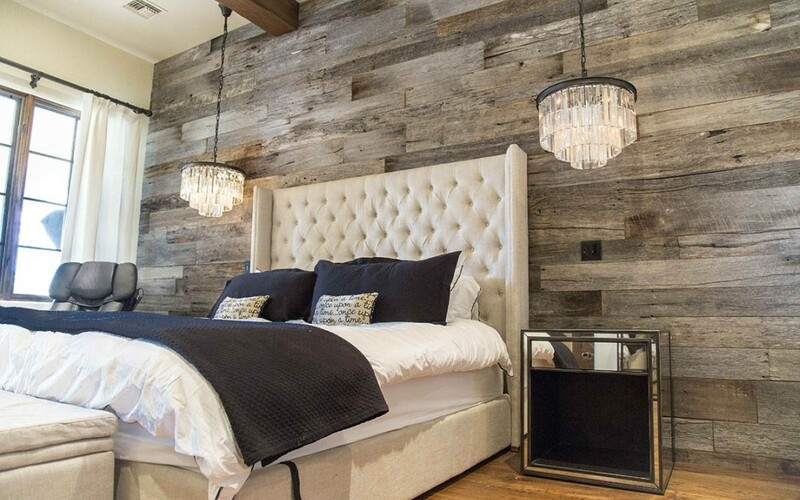 This choice gives a look similar to a padded headboard, except you’re using more wall space. 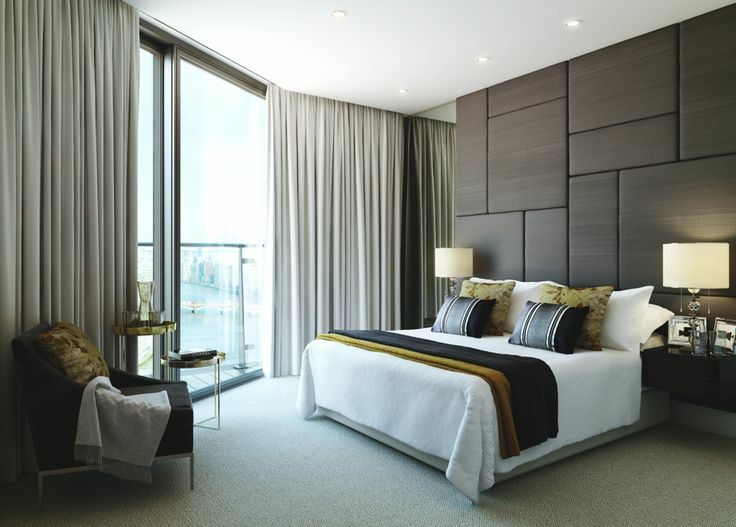 Extending the area that’s padded will give your room a grander aesthetic appeal. You can choose large square pads, rectangular padding that runs vertically or horizontally, or you can try tufted padding for something truly fabulous. It may sound old-fashioned to some, but wallpaper’s an excellent choice for an accent wall. Nowadays, you have a multitude of designs to pick from such as geometric shapes, floral patterns, or even textured wallpaper. 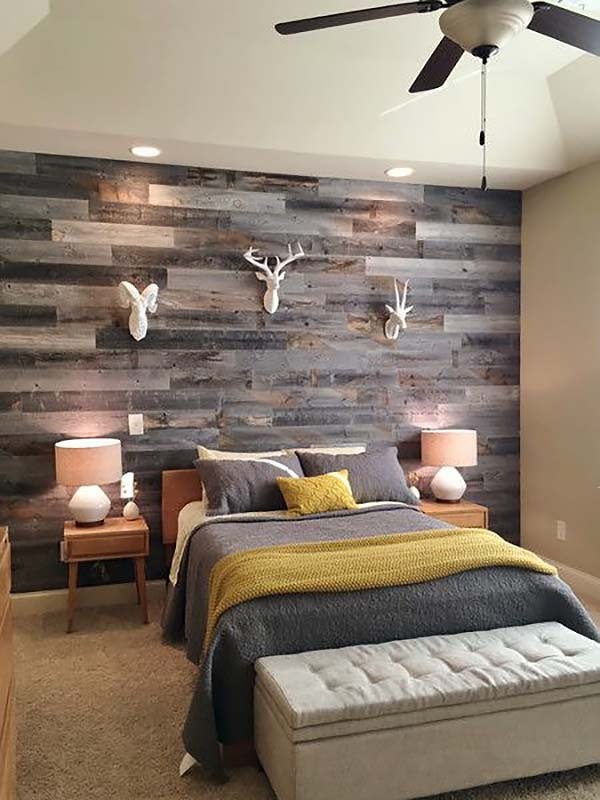 You can paper an entire wall or do half of the wall with paneling beneath for something different. Wallpaper is easy to clean and hides any imperfections in your walls, so it’s always a good option. Murals look especially great in children’s rooms. But they aren’t just for kids anymore. 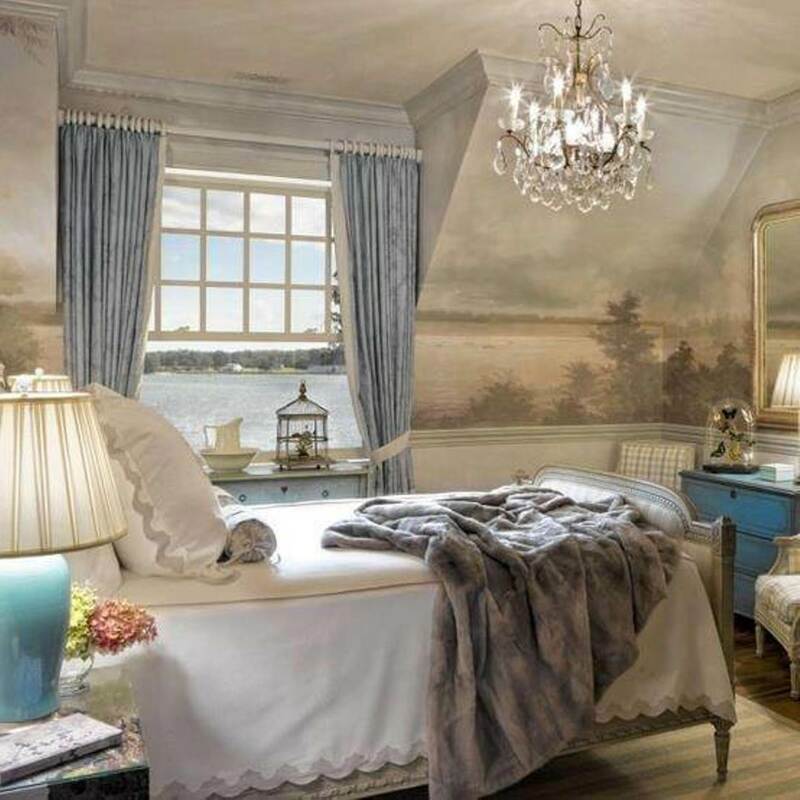 Murals artistically created from a sophisticated design, or those that display a subdued landscape, are now becoming popular for master bedrooms, too. A mural is either painted on a wall or printed on high-end paper. For the best look, select a wall where the beauty of the design won’t become marred by furniture. These are just a few suggestions to give your bedroom a unique and stunning new look. Keep an open mind when it comes to interior decor. You shouldn’t fear unusual choices, and maybe you’ll even discover something extraordinary that will become the next fabulous design trend!